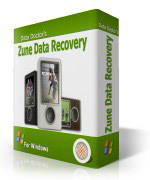 The Pro Data Doctor dynamic Zune music recovery software tools support and restore all crashed music files including midi, mid, wav and wma files images of wireless connectivity featuring audio video music device. The recovery software gets back all music files lost due to accidental deletion, formatting, corruption, damaged file system, human error or due to virus attack and other similar reasons. The advance technology featuring Zune music recovery software is the safe, non-destructive recovery utility to restore songs mp3 music video songs and other files, folders from your digital music player. The software is safe to use providing clear view of all the recovery performed on your music player. Data recovery even from accidentally formatted Zune memory or accidental zune data reset operation performed. Retrieve and Restore corrupted, damaged or frozen Zune files and folders form the Zune hard disk damaged due to human error or any Virus Generated Data Loss. Ensure data recovery from accidentally formatted Zune memory. Restore corrupted, damaged or frozen Zune files and folders from the Zune hard disk. Easiest Data retrieval software to restore lost music, photos and video! Provide Zune Data Retrieval Support for Microsoft Windows operating system. FastSpring are trusted names in highly secure online credit card processing and process payment details using advanced encryption technology to safeguard all transactions from unauthorized viewing.